Are you ready to be the perfect entertainer? 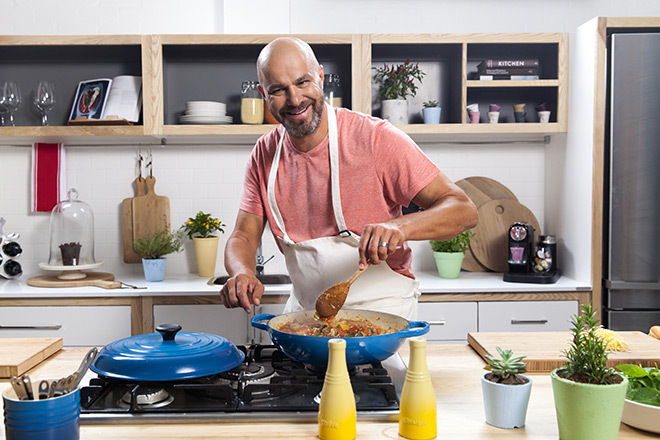 Franck Dangereux, host of our Easy Entertaining online cooking course, shares some of his insight as a chef and keen host, so you too can be inspired and equipped to cook up a storm in the comfort of your own home while entertaining your friends and family. 1. Can you give us 3 tips for keeping entertaining simple? Preparation is key. Shopping correctly, preparing in advance and clearing space in your fridge to accommodate extra food are all important aspects of easy entertaining. Make sure you’ve got a good range of beverages for your guests and lay them out with ice and glasses, so that people can help themselves. Get 90% of the preparation done before your guests arrive. Then have a shower, pour yourself a glass of wine and relax – you deserve it. 2. 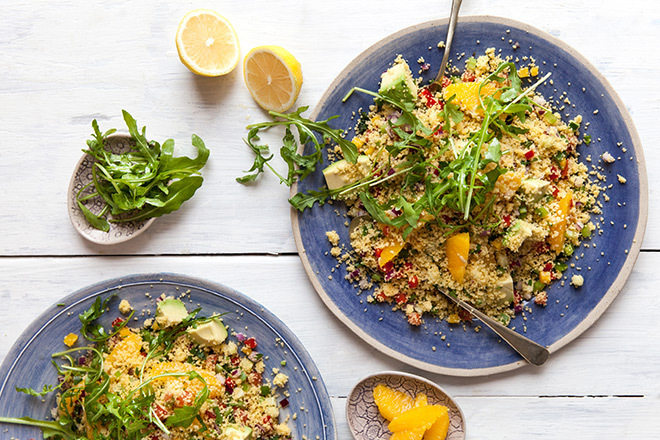 What’s your preferred menu for easy entertaining? I would make a lots of meatballs and rice or a combination of canapés and crudités with dips. It depends on the type of party you are having and the number of people you’ve invited. 3. Which tools help you get the job done fast? Food processor, large oven trays and large cooking pots. Easy as that. 4. 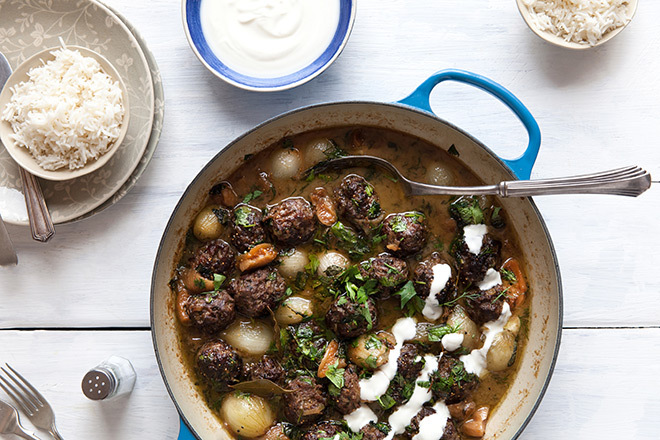 What do you think South Africans can learn from the French when it comes to eating great food while feeding a crowd? It’s all about attitude. To be a good host you need to truly have enjoyed the process of cooking. It’s a generous deed. You are making something that people will enjoy and you need to take pleasure in that. It’s not really a French thing, but maybe the French have been doing it well for longer. Also, if things aren’t perfect when people arrive, turn the page so that you can still relax and enjoy. Don’t get flustered if you haven’t completed everything. Have fun at your own party. 5. How did you decide on recipes for the Easy Entertaining course? What was the criteria? I basically chose recipes that I love to cook when I entertain at home. They are also recipes that can be scaled up easily to feed a lot of people. 6. You have a surplus of pomegranates and 5 friends coming over. What do you make? Well there are two options, either I would crush it into juice and serve it with Vodka or I would braise a shoulder of lamb with cumin and sprinkle it with loads of pomegranate rubies. So there you have it folks. For more of Franck’s culinary insight sign up to Easy Entertaining and be inspired by how fuss free your social life can be.